25701 E. Smoky Hill Rd. 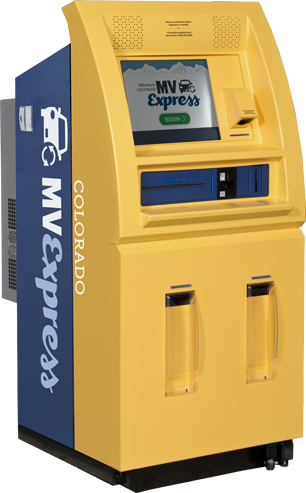 Located inside the Aurora King Soopers Marketplace in Arapahoe County, the self-service DMV kiosk is a fast, easy way to renew registrations and walk away with your tabs! Simply scan your renewal postcard or type in your license plate number, pay your taxes and fees via credit card, debit card, or check, and your registration and license plate decal prints immediately. Renew. Print. Go!